I tried my hand at "proper" crispy roast potatoes at the weekend and they turned out brilliantly, so I will document the recipe I used here. * I used 'King Edwards' potatoes. Turn the oven to 200 Celsius/400 Fahrenheit/Gas Mark 6 and allow to heat up while you prepare. 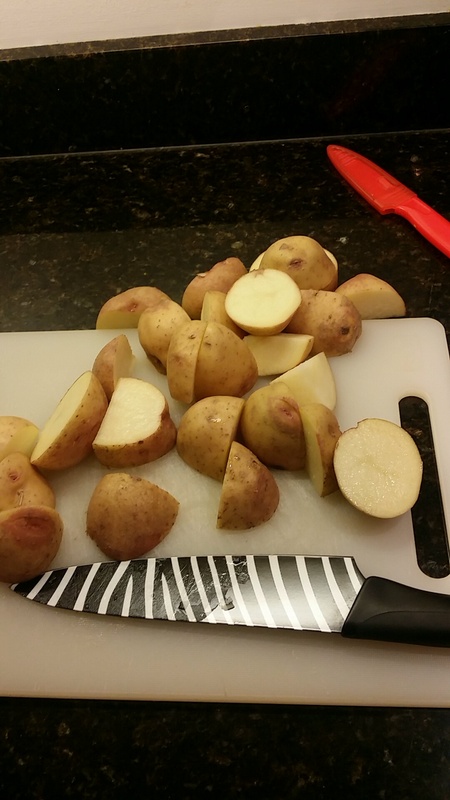 Cut the potatoes into decent sized chunks. Bring a large sauce pan of salted water to the boil. 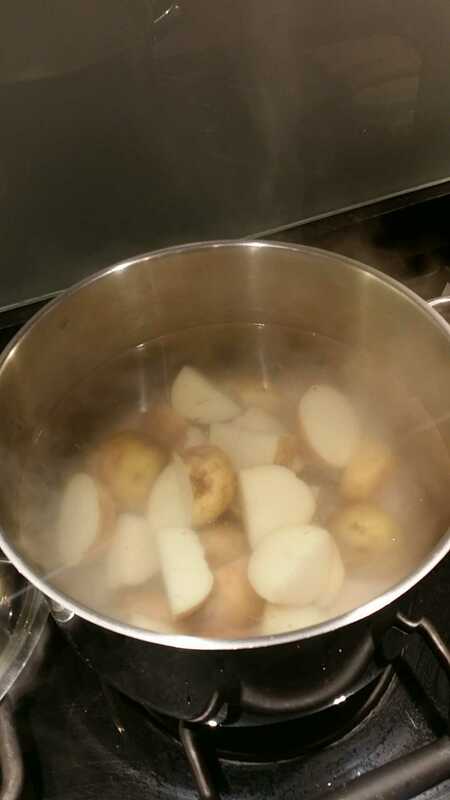 Add the potatoes and boil for about 6 minutes, until they can be easily "fluffed" with a fork. While they are boiling, add the oil/rosemary to a roasting dish and place in the oven to heat up. Once they are boiled, drain and put them back into the saucepan. 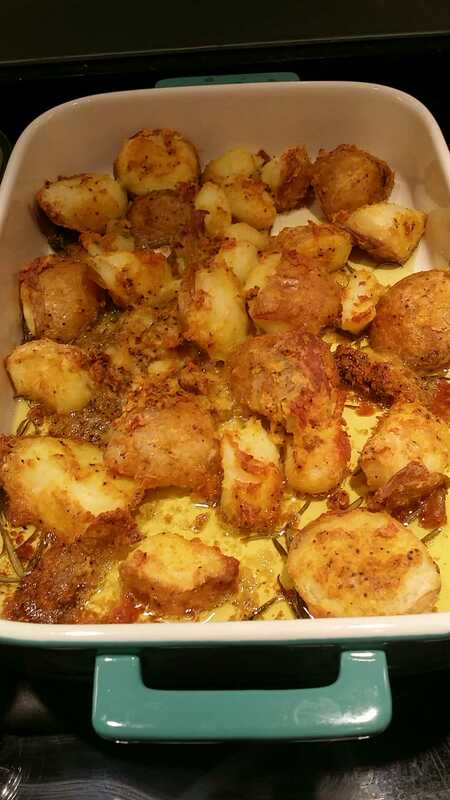 Mix the flour/turmeric together, with some salt/pepper to taste and sprinkle over the potatoes. Place the lid back on the saucepan and shake vigorously until the potatoes are coated/fluffy. Remove the dish from the oven and add the potatoes to it. Roast the potatoes for about 40 minutes.